The ALTA Board of Governors approved a recommendation to revise the ALTA Closing Protection Letters (CPLs) and adopt four new endorsements during a meeting on Oct. 10. The subject forms are currently posted for industry comment and are subject to change before final. The deadline for comment is Nov. 30. Forms may be downloaded at alta.org/policy-forms. Upon review of comments and final publication on or about Dec. 1, the prior versions of the CPLs will be moved to the archives. As always, the forms have been developed by the ALTA Forms Committee and approved by the ALTA Board. An opportunity to review and comment before final publication is extended to ALTA members, Policy Forms licensees and industry customers. The forms, in general, are made available for customer convenience. The parties are free in each case to agree to different terms and the use of these forms is voluntary unless required by law. 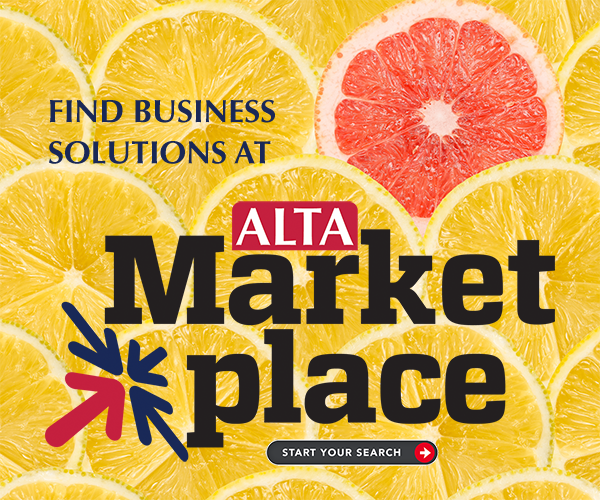 The forms are copyrighted and use is restricted to ALTA members and ALTA Policy Forms licensees in good standing as of the date of use. Permission to reprint may be requested by contacting service@alta.org. The Board approved a recommendation from the Forms Committee to adopt a new ALTA Endorsement 34.1 (Identified Exception & Identified Risk Coverage). Industry experience shows that many users of the ALTA 34-06 have confused the matter excepted to in Schedule B with a risk posed by that matter and may simply refer to the matter itself as the Identified Risk. That results in insuring over the matter itself which is often not the desired result. The ALTA 34.1 provides ALTA members with a form that differentiates the matter identified in an exception from the consequences of an Identified Risk posed by the exception. The committee recognized the need for an appropriate place for coverages that have been inappropriately placed in Schedule B. You may download and review the subject forms in the "Forms Approved - For Comment by November 30, 2018" section in the Policy Forms Online. If you have comments or concerns, forward them to Kelly Romeo, staff liaison for the Forms Committee.